Barcelona will host Real Madrid in the first Clasico of the 2018-19 LaLiga season on Sunday, October 28 at 16:15 local time (15:15 GMT). 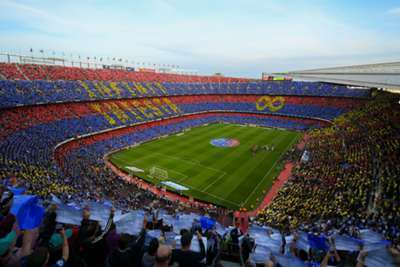 LaLiga had already confirmed the clash would take place on matchweek 10, but the date and time has now been set for the match at Camp Nou. The fixture comes at the end of a week in which Barca play Inter in the Champions League, with holders Madrid taking on Viktoria Plzen in the competition. October's Clasico will be Barca's first meeting with Madrid since the departure of legendary midfielder Andres Iniesta, who joined Japanese side Vissel Kobe. Madrid will also be without one of their regular Clasico heroes, with Cristiano Ronaldo having departed to Juventus in a deal worth €112million. Barcelona and Real Madrid are level at the top of LaLiga after three rounds of matches, both teams taking maximum points before the international break.